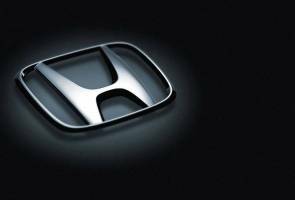 Honda Malaysia has completed 71 per cent of the replacements as at Dec 28, 2016. KUALA LUMPUR: Honda Malaysia Sdn Bhd (Honda Malaysia) has announced that operations at three Honda Service Central Hubs (Perai, Petaling Jaya and Johor Baharu) for the Takata front airbag inflator replacement will cease tomorrow. To make the replacement process more convenient for its customers, Honda Malaysia will introduce the Mobile Caravan, which will be going nationwide to provide on-the-spot replacements seven days a week, it said in a statement here today. Honda Malaysia would be stepping up the operations of its Mobile Hubs to three mall venues every weekend in the Central Region, Johor Bahru, Kedah and Penang until March 2017. "Eighty-four authorised Honda Service dealers nationwide will continue mobilising their associates to go door-to-door to approach affected customers at their premises until March 2017. "It is important that awareness to replace the airbag inflators are continued to help expedite the free-of-charge replacement activity," it said. Honda Malaysia has completed 71 per cent of the replacements as at Dec 28, 2016 and would like to reassure that the stock availability for Takata driver front airbag inflators is at 100 per cent. The stock availability for Takata passenger front airbag inflators is close to 70 per cent at end of December this year.